When life hits hard, how do we muster up enough faith to get through? Faith isn’t something we can drum up on our own — we can’t just feel more or try harder. Faith is a gift from God and scripture tells us that it comes by hearing His Word. We daily need the Word but never more so than when life has turned upside down and we need a daily infusion of faith to make it through. So many days, I’ve made this great exchange – taking my doubts and worries to God as I open my Bible and receive His encouragement and promises. 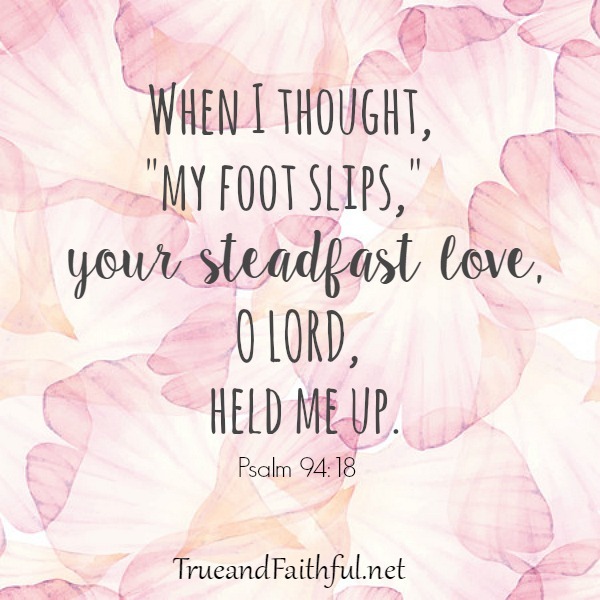 When life hit hard for us, I knew that I’d only be able to face an uncertain future if I pressed hard into God and His truth — even when I couldn’t see it and definitely on the days I didn’t feel it. Since every bit of God’s Word is living and active, I systematically read through my Bible, usually with a reading plan or Bible study. I just finished 100 Days with Christ and when Dan died, our church was reading through the Bible in a year, so I followed that schedule. I saw very quickly that every page of scripture speaks. Who knew God could bind up my broken heart wading through Leviticus or Nehemiah or Zephaniah? But He can. His Word is rich with promises made and promises kept and it accomplishes so much for us when we can barely lift our head for the day. So many verses became life and hope to me. Today I want to share some of my favorite Old Testament Bible verses to build faith in the hard. ::Deuteronomy 32:39 See now that I myself am He! There is no god beside me. I put to death and I bring to life, I have wounded and I will heal, and no one can deliver out of my hand. ::Joshua 23:14 …You know with all your heart and soul that not one of all the good promises the LORD your God gave you has failed. Every promise has been fulfilled; not one has failed. ::2 Samuel 22:2, 17, 20, 26 The Lord is my rock, my fortress and my deliverer….He reached down from on high and took hold of me; he drew me out of deep waters…he brought me into a spacious place; he rescued me because he delighted in me…To the faithful you show yourself faithful, to the blameless you show yourself blameless. ::Job 16:19-21 Even now my witness is in heaven; my advocate is on high. My intercessor is my friend as my eyes pour out tears to God; on behalf of a man he pleads with God as a man pleads for his friend. ::Psalm 20:7-8 Some trust in chariots and some in horses, but we trust in the name of the LORD our God. They are brought to their knees and fall, but we rise up and stand firm. ::Psalm 30:2-3, 5, 11-12 O LORD my God, I called to you for help and you healed me. O LORD, you brought me up from the grave; you spared me from going down into the pit. …weeping may last for a night but rejoicing comes in the morning…You turned my wailing into dancing; you removed my sackcloth and clothed me with joy, that my heart may sing to you and not be silent. O LORD my God, I will give you thanks forever. ::Psalm 34:18-19 The LORD is close to the brokenhearted and saves those who are crushed in spirit. A righteous man may have many troubles, but the LORD delivers him from them all. ::Psalm 63:6-7 On my bed I remember you; I think of you through the watches of the night. Because you are my help, I sing in the shadow of your wings. ::Psalm 71:20 Though you have made me see troubles, many and bitter, you will restore my life again; from the depths of the earth you will again bring me up. :: Psalm 121:2-3 My help comes from the LORD, the Maker of heaven and earth, He will not let your foot slip – he who watches over you will not slumber. ::Jeremiah 17:7-8 But blessed is the man who trusts in the LORD, whose confidence is in him. He will be like a tree planted by the water that sends out its roots by the stream. It does not fear when heat comes; it leaves are always green. It has no worries in a year of drought and never fails to bear fruit. ::Lamentations 3:21-23 Yet this I call to mind and therefore I have hope: Because of the LORD’s great love we are not consumed, for his compassions never fail. They are new every morning; great is your faithfulness. ::Joel 2:25 I will repay you for the years the locusts have eaten. ::Habakkuk 3:17-19 Though the fig tree does not bud and there are no grapes on the vines, though the olive crop fails and the fields produce no food, though there are no sheep in the pen and no cattle in the stalls, yet I will rejoice in the LORD, I will be joyful in God my Savior. The Sovereign LORD is my strength; he makes my feet like the feet of a deer, he enables me to go on the heights. ::Zephaniah 3:17 The LORD your God is with you, he is mighty to save. He will take great delight in you, he will quiet you with his love, he will rejoice over you with singing. What about you? I’d love to hear in the comments what Bible verses have been especially helpful to you. P.S. I’ve created two phone screen savers that are yours to download free when you subscribe to the Printables Collection. Access to the entire collection is free and available here. Which Bible version do you enjoy? I understand the NIV. Wendy, these are all quoted from the NIV, but I use both my NIV and New King James Bibles. Irene, I love Isaiah 41:10 — that’s a great verse. In our weekly Bible study we have been discussing faith. Just this week the lesson asked for our ‘favorite’ verses. 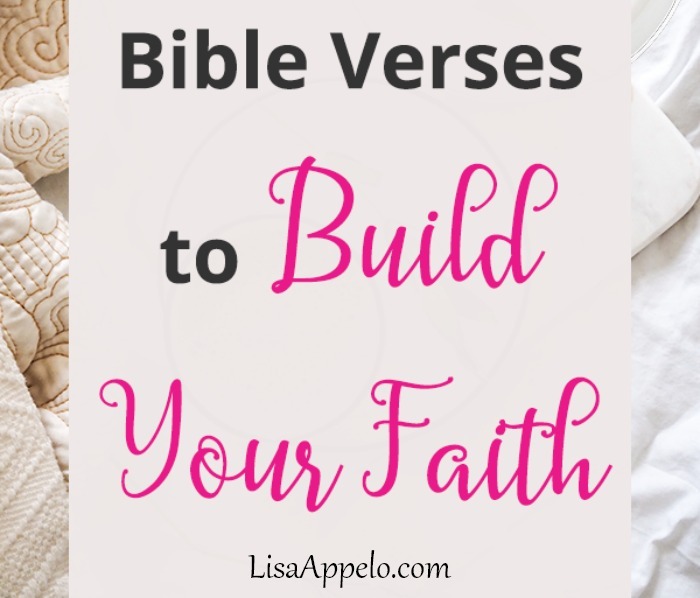 After everyone shared theirs, we concluded – just as you did, Lisa – that God’s Word is ALIVE and no matter who we are or what we may be dealing with, there is a truth/promise in Scripture that we can grab hold of and stand on! How amazing is our God??? HalleluYah! Thank You, Jesus!! Yes. It’s very true. It is what givesbus the power. Praise God. Thank you Lisa, we need to be reminded daily of the love of God. I am enjoying reading your website. . . .on and on. . .
Taken to my heart during a very difficult time. Thank you for sharing and for the opportunity to share Jesus. 2 Chronicles 20 is a powerful chapter and has undone me more than once. Thank you for sharing…so grateful for God’s healing Word. This song by Ellie Holcolmb is called The Broken Beautiful and she sings Psalm 30:11 toward the end, so I thought I would share 🙂 There’s something so powerful about turning Scripture into song. Maybe it’s that God’s Word is so easily hidden in my heart when there’s a melody to it. I hope this link below works. Beautiful encouragement here today, Lisa, to dig into God’s Word. The last few months have been trying for several different reasons, and I’m also finding His word gives so much strength. I love some of these verses myself. looking forward to pinning and sharing. This goes right along with my message and my heart! I love these Lisa! Definitely saving these for future reference. What a great list! What a good list! And the screensaver? You continue to amaze me, Lisa. So good. I’ll be posting this one on fb tomorrow. 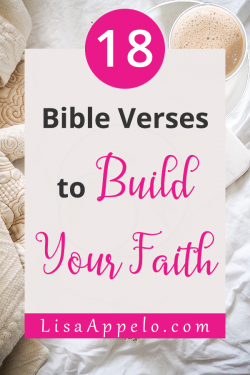 This is such a great list of scripture verses…more than enough to encourage the weary heart! Thanks for sharing at Grace and Truth. I was really struck by your comment “His Word is rich with promises made and promises kept and it accomplishes so much for us when we can barely lift our head for the day.” Great post for pointing us back to the word. Lisa you’ve added a few verses I had not underlined. Thank you. Love these. My name is Akok, I am from South Sudan I live in Melbourne. I come across and find the verses you share with faithful people believe in Jesus and I am one of them believe our Lord Jesus Christ. I want share with you, daily bible in your website. Could you please send to me any verses you read them, because I want build my faith to be with Jesus. I believe you and others believe Jesus, you can help me to share with you daily bible reading. Thank you for your encouragement verses words of God. I would looking forward to hear from you as soon as you can. Hi! Love this list but thought I would let you know that the scripture you have marked as Psalm 24:18-19 is actually 34:18-19. The word of the lord is quick and powerful sharper than any two edged sword… thanks for uplifting my soul this morning. God bless you. Lisa, Thank you SO much for your contributions. They are very meaningful to me.